Two new rings from H&M, one old from one ASOS. As you’ll see, I used the camera effect which gives my skin the corpse effect – it brings out the lilac nail polish. 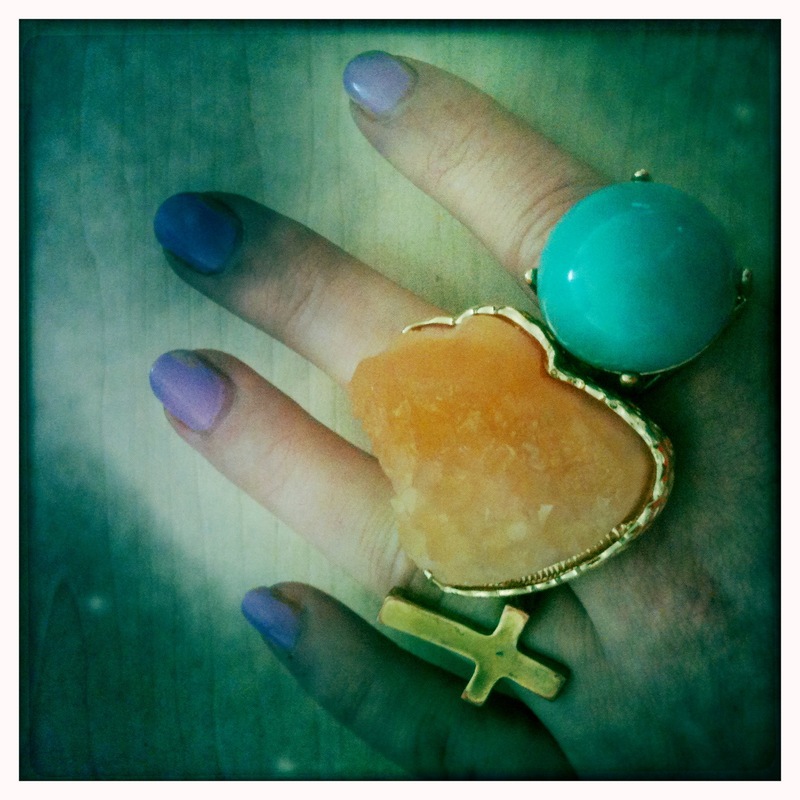 Ha, I posted hipstamatic photos of that same H&M rough stone ring and I had to take about 5 million before I came up with one that didn’t make me look like the undead! Oh my god, just seen your post – that’s a bit freakish isn’t it?? BTW, you look incredible at the moment. Not that you didn’t previously but… you know. Damn! Oooh, love the big rock!